To the family are greatly appreciated. Memorials are appreciated in lieu of flowers. Please scroll down for visitation & service details, memorial contribution information and link to online directions service. 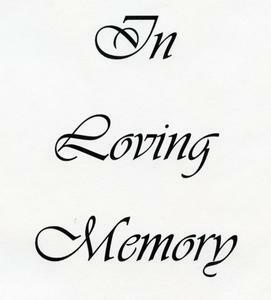 The obituary is being written and will be posted when completed.